Nova is gentle, shy and skittish, and yet warmly sweet and playful as you get to know her through patience and bonding. 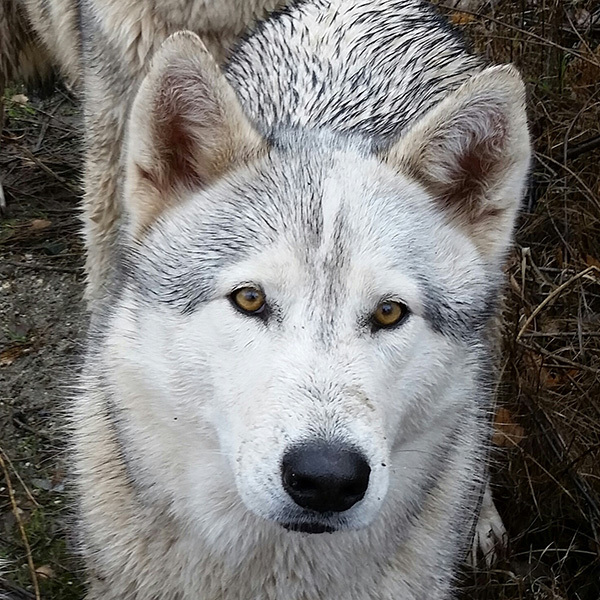 She lives with Tala and Wyoh and is also a well-trained and beloved ambassador of Wolf Connection. Nova teaches guests to respect boundaries because though she is well trained, her shyness warrants allowing her the space that she needs. When she is ready, she will approach to interact with such curiosity, and even some silly wiggling and play pounces…..Usually when one least expects it.